If the majority of American workers were producing more without earning more, who was going to buy all the stuff? If you had to date the Great Recession, you might say it started in September 2008 when Lehman Brothers vaporized over a weekend and a massive mortgage-based Ponzi scheme began to go down. By 2008, however, the majority of American workers had already endured a 40-year decline in wages, security, and hope—a Long Recession of their own. And what did he think was next? “Maybe we’ll go live on the land,” he told me. If that didn’t pan out, he said that he’d look for a job someplace less regimented, someplace where he’d get to do something “worthwhile.” To Duane, worthwhile work didn’t necessarily mean launching a space shuttle or curing cancer. It meant getting to see what he’d actually accomplished—like those repairs on our mimeo machine back at the coffee house—instead of performing repetitive snaps, twists, and squirts on cars that moved past him every 36 seconds. That, of course, made it harder to run a business. 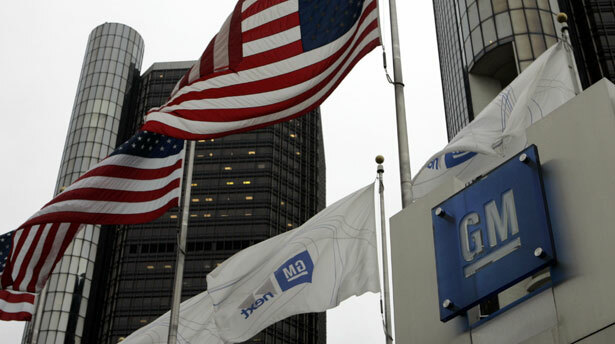 GM echoed many other US employers in its complaints about absenteeism and high turnover among young workers. In retrospect, this was probably the moment when many US manufacturers began looking around to see just what could be done about their labor problem. But neither Duane nor I had any premonition of the outsourcing and offshoring that would start the Great Recession decades early for so many working families. For us, it was still a time when jobs abounded and Americans talked not about finding work, but “humanizing” it. In the mid-1980s, I spoke at a university in Michigan and once again spotted Duane—this time in the audience. After the talk, we chatted and I asked him to come out with the professors who’d sponsored my lecture, but he had to collect his children from school and drop them off with the babysitter in time to get to his late afternoon shift. His wife, he told me, would pick them up when her day shift ended. I thought back to the G.I. coffee house and Duane’s quips about his hapless army unit. Yes, were he around, he might indeed have made a joke about a hapless American worker trudging steadily up an incline, who, like his mortgaged house, somehow wound up underwater anyway, and he probably would have made it come out funny, too—sort of. Between 1971 and 2007, real hourly wages in the US rose by only 4 percent. (That’s not 4 percent a year, but 4 percent over 36 years!) During those same decades, productivity essentially doubled, increasing by 99 percent. In other words, the average worker’s productivity rose 25 times more than his or her pay. This was, of course, a bonanza for corporations and for the richest Americans. In 1976, the top 1 percent of US families held 19 percent of the country’s wealth. By 2000, they held 40 percent of it. In those same years, 58 percent of every dollar of income growth went to the top 1 percent. There was, however, one small problem: we Americans sell to one another more than 70 percent of what we produce. If the majority of American workers were producing more without earning more, who was going to buy all the stuff? For Americans across the board, the "chained-CPI" Social Security scheme is bad news. Read John Nichols's analysis. Barbara GarsonBarbara Garson is the author of a series of books describing American working lives at historical turning points, including All the Livelong Day (1975), The Electronic Sweatshop (1988) and Money Makes the World Go Around (2001). Her new book, just published, is Down the Up Escalator: How the 99% Live in the Great Recession (Doubleday).